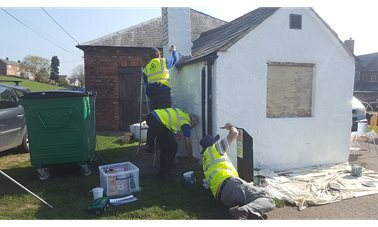 Sun shines on painters. 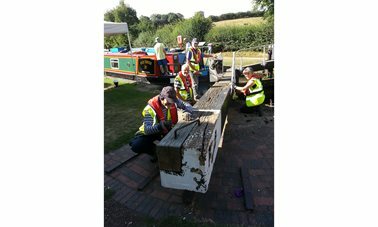 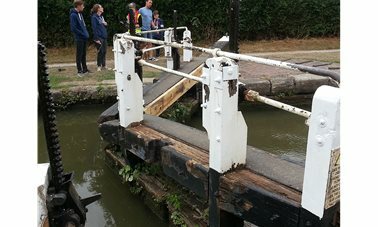 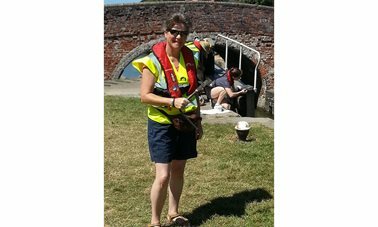 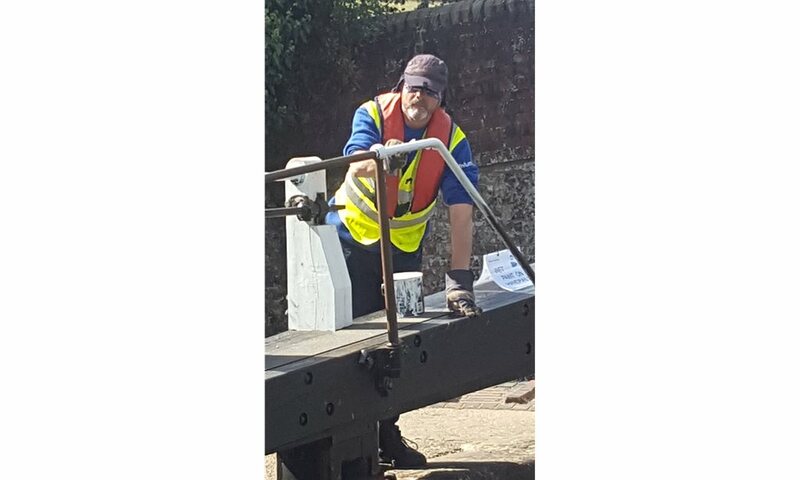 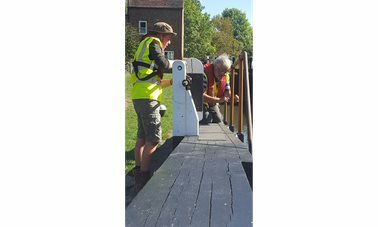 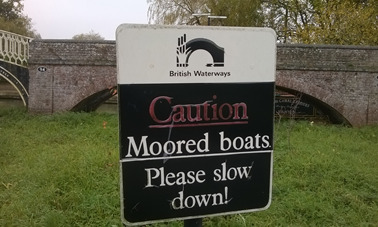 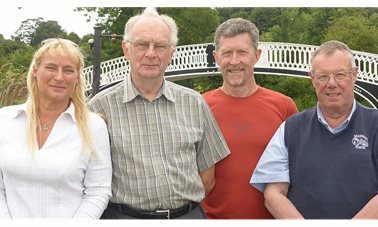 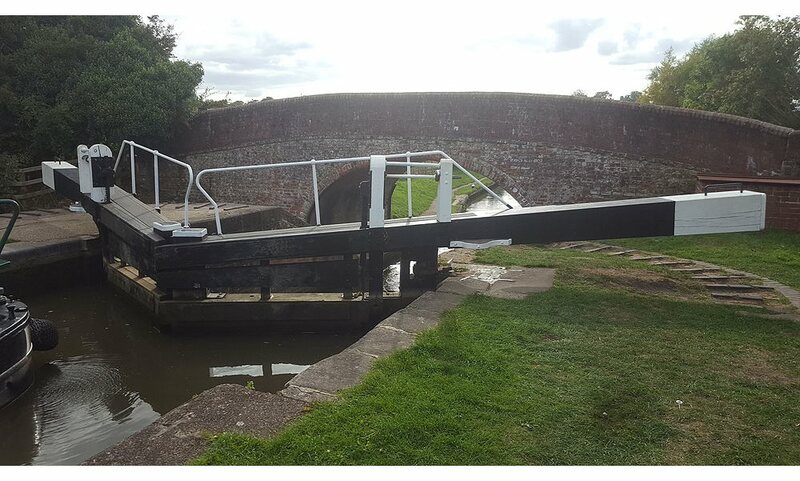 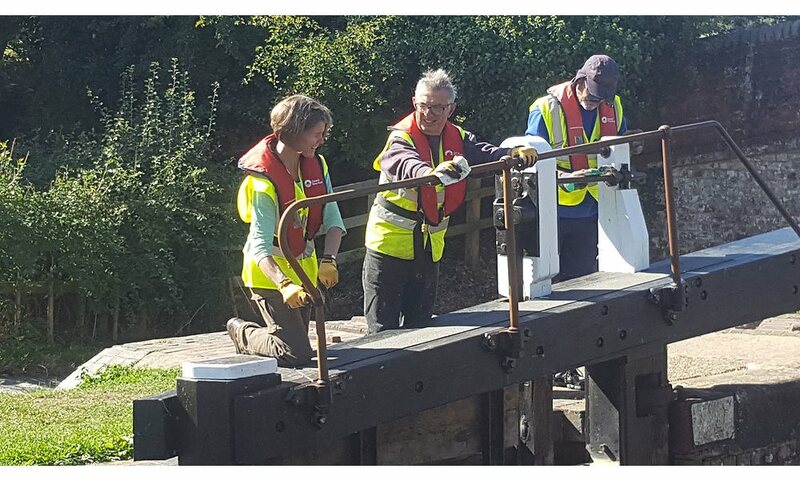 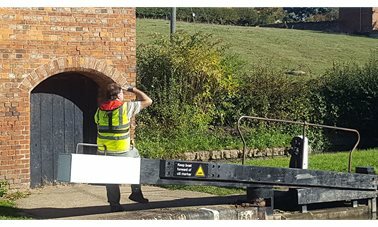 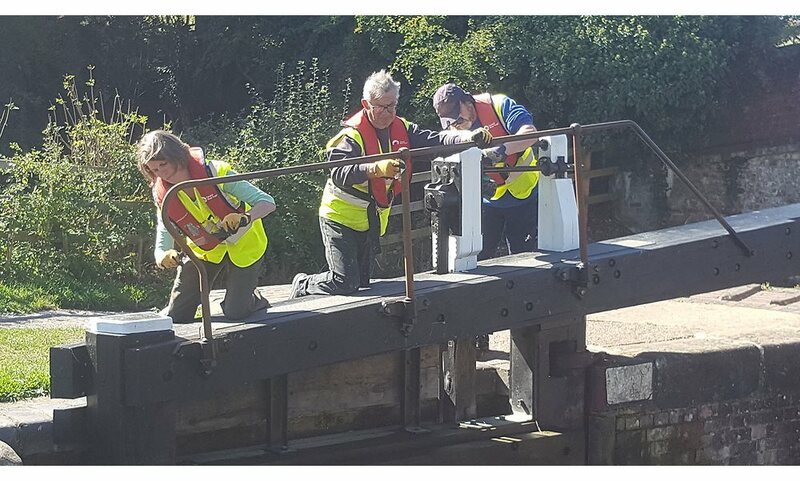 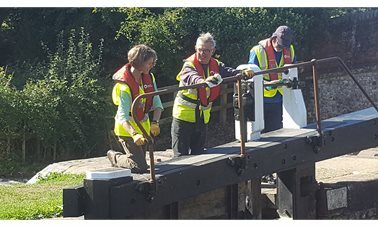 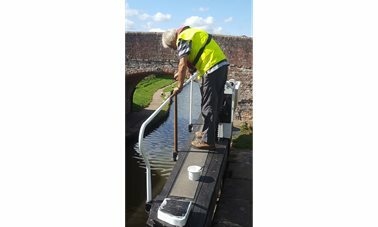 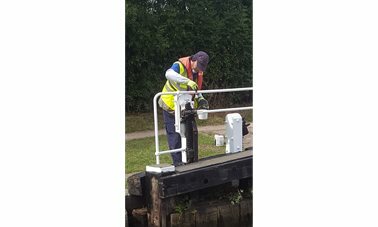 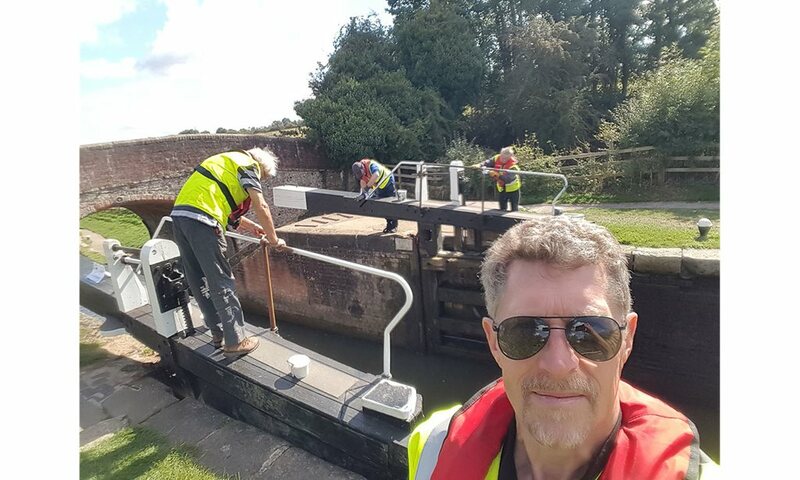 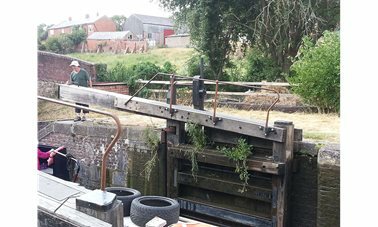 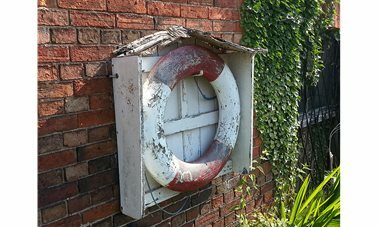 14 Sep 2018 Perfect conditions for lock painting see the gate and ladder handrails at locks 2 and 3 completed. 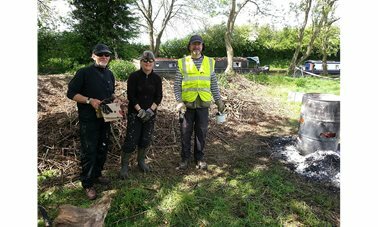 Ideal painting weather presented itself to the super six that comprised the Thursday volunteer crew. 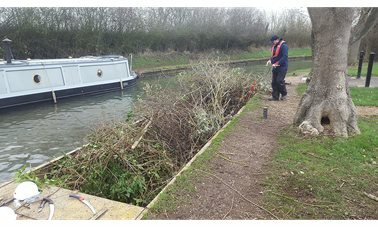 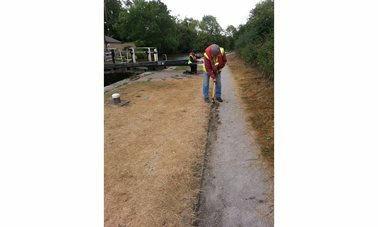 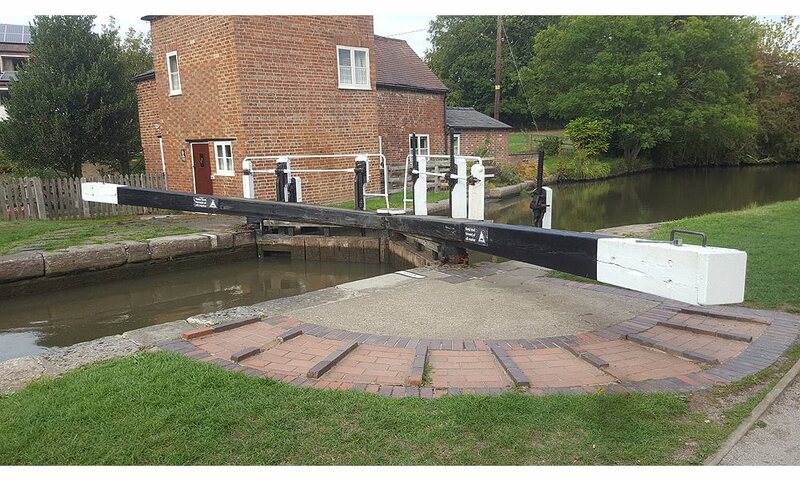 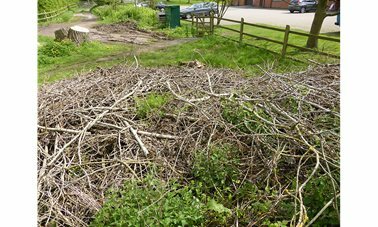 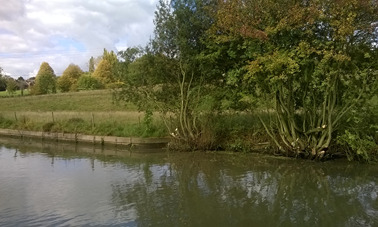 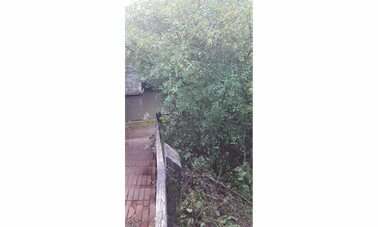 The gate and ladder handrails at lock 3 that had escaped their attention last time, due to onset of rain, were finished off. 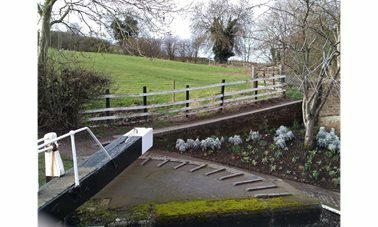 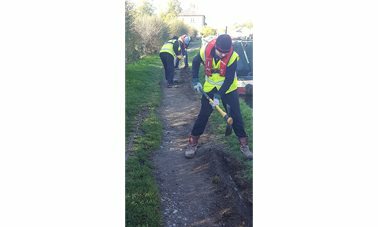 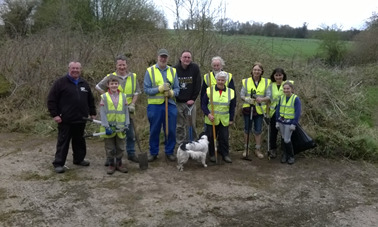 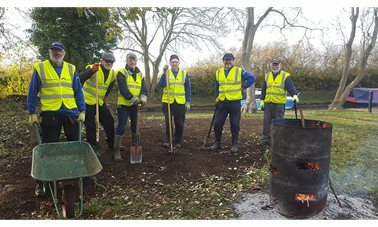 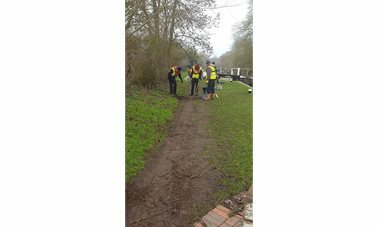 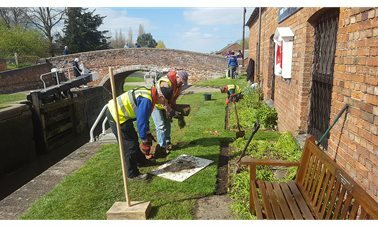 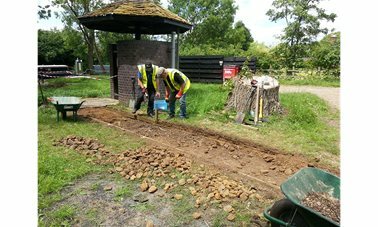 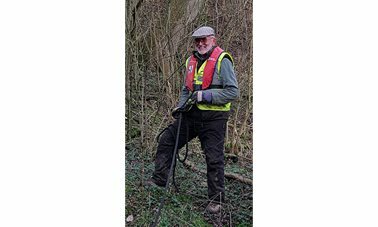 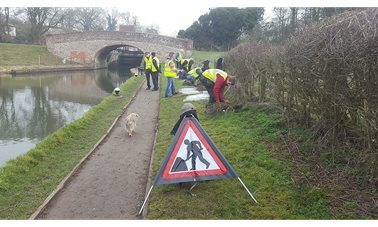 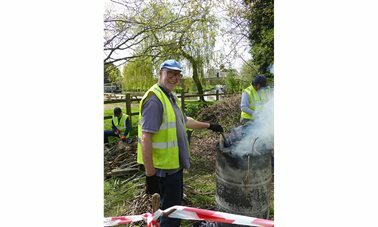 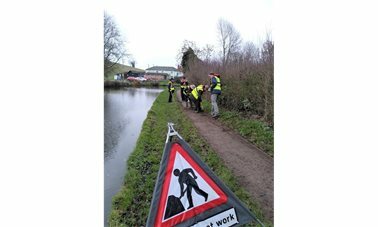 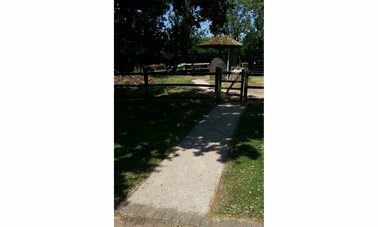 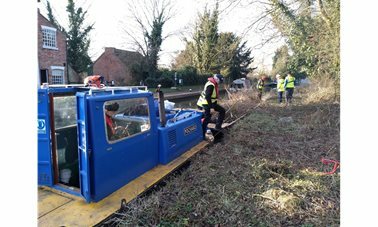 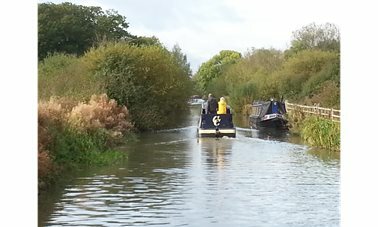 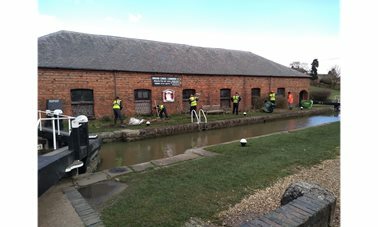 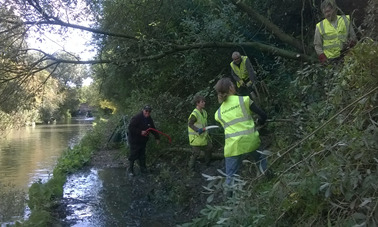 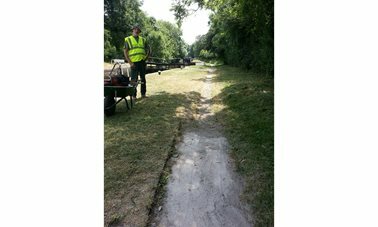 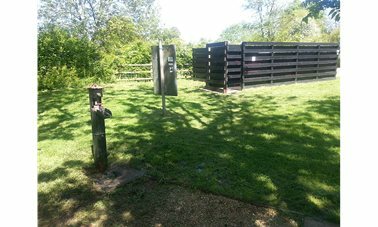 With all their kit in two wheel barrows they decamped to lock 2 where the gate and ladder handrails were also prepped and painted.